Diamond forms under high temperature and pressure conditions that exist only about 100 miles beneath the earth's surface. Diamond carbon atoms are bonded in essentially the same way in all directions. Another mineral, graphite, also contains only carbon, but its formation process and crystal structure are very different. Graphite is so soft that you can write with it, while diamond is so hard that you can only scratch it with another diamond. 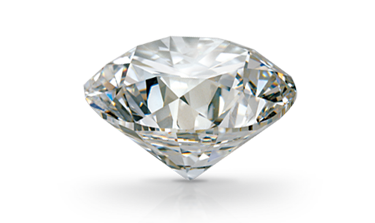 Diamond forms under high temperature and pressure conditions that exist only about 100 miles beneath the earth's surface. Diamond carbon atoms are bonded in essentially the same way in all directions. Another mineral, graphite, also contains only carbon, but its formation process and crystal structure are very different. Graphite is so soft that you can write with it, while diamond is so hard that you can only scratch it with another diamond. S The average yield in most diamond mines is 1 part diamond to 1 million parts host rock. The human contribution to a diamond's beauty is a well-executed cut. Peridot is cut in a wide variety of styles, including ovals, emerald cuts, and cushions.